announcement in which he said Nigerians "who feel they have another nation may go." With the announcement, the gathering said the President talked like somebody who had lost awareness of other's expectations towards his subjects. The PDP described the statement as unpresidential, defeatist and characteristic of what it called failed leadership. Ologbondiyan said these were the problems that were forcing Nigerians to embark on what he called suicide missions and slavery as survival options. 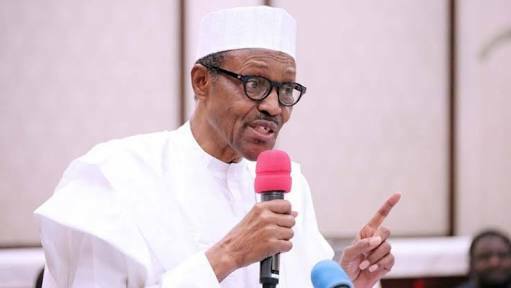 He said, “Such comment is a spit on the graves of thousands of compatriots killed by marauders in various parts of the country, while the Buhari Presidency and the All Progressives Congress remained aloof without decisive actions to end the carnage and bring the perpetrators of the bloodlettings to book. “Since Mr President now knows that Nigerians across board are hurting over the failures of his administrations, the least he, as an elected leader, should have done, was to accept responsibility, rise up to the occasion and find solutions, or at least, have some soothing words to suffering Nigerians instead of dismissing their pains and asking them to abandon their fatherland.